The Rafting is not only one of the most amazing and thrilling experiences you will ever have but also has a natural beauty in the surroundings unlike any other rafting experience. Considered by many to be the most beautiful of CapeNature’s protected areas, Kogelberg Nature Reserve earns that reputation largely to the fact that it occupies an area with minimal human interference. Its exceptional diversity and quality of fynbos means it is considered the heart of the Cape Floral Kingdom. The reserve presents perhaps the finest example of mountain fynbos in the Western Cape. Our Rafting experience on the Palmiet is dictated by the water levels and we use 2 types of Crafts depending on the levels. So you competed in our 2013 Adventure Race or only hear of all the fun. Now get ready for the next challenge. If this is your first year to participate, don't worry. The race has now taken on a new route and format. Pre-Bookings can be made below at the bottom of this page. 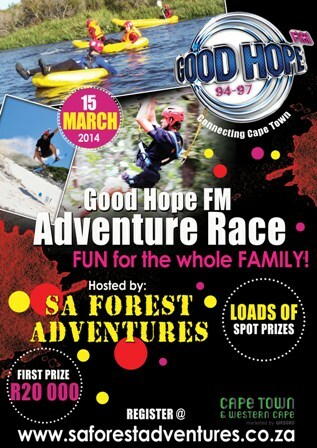 Do you have what it takes to complete the Good Hope Fm Adventure Race? Winners of the race receive R20 000! Lots of spot prizes up the value of R100 000. Family fun and activities to complete. Click here to read a 2013 event review This will be your family and friend outing for the year. Limited space available. Only 250 teams will be allowed to enter. All participants must complete the online registration process to enter. 2 members of your team must have swimwear on hand to complete some objectives. Not all members of your team need to be able to do everything. When you get to an objective or adventure the team can select a member to complete the task. Prepare snacks and drinks in advance, to avoid unnecessary stops during the event. We will be releasing clues on our face book group page so please subscribe to receive regular updates on the event. This will be our bill board for the event so join the group to know what’s going on, in and during the run-up. https://www.facebook.com/groups/saforestadventures Dont miss out on updates add yourself to the page. You don’t need to be fit just in good health! No medical conditions! You don’t need a 4 x 4. We have a secret time for the event winners – we have determined this by averaging times to reach a desired time for the event. If you race to win you might come in to fast. This event targets families and friends looking for a different experience. The event will not be weather dependent – some of the activities might but keep in mind the event will go on, no matter what the weather conditions. All Participants must complete the Indemnity document. This will be emailed to you once you have registered for the event. At least one adult to accompany children. All Participants must comply with South African laws – this includes road usage legislation. Judges decisions are final. Staff instructions and marshals must also be adhered to at all times. You will only be eligible for a prize if you attend the price giving. You have to agree to the terms and conditions on-line. What better way than to have your summer party spend in and around water. We have the perfect entertainment to keep you and your friends entertained for hours. Our Blob has 1 or 2 sites in the Hermanus region where we blow it up for your party – or if you have a venue – We bring the Blob to you. Posted in Hen And Bachelor and tagged Arabella, Bachelor Party, Blob, cape whale coast, Hen And Bachelor, Hen Party, hermanus, kids party, Kleinmond, SA Forest Adventureswith no comments yet. New Upgraded Zipline Experience in Hermanus and at our Caledon Adventure Farm as well. Two of our current adventure farms (in Hermanus and the other in Caledon along the N2) have undergone upgrades to enhance the guests experience even further. The Hermanus Zip lines now extend in to the mountain and zip lining over a small waterfall between the Poplar Trees and Canyon makes this an even more memorable experience. To also further enhance the experience we have created a large quad train to transport guests up to the starting point – no more long walks to get to the start. The Caledon Zip lines (N2) have now extended with 2 longer additional cables – the start is basically from our office stoep and the end now zip lines over a stream into our lushes Ivy Forest with massive Poplar trees surrounding the end. Posted in BLOG and tagged adventure, Adventures, Cape Town, cape whale coast, hermanus, Hermanus Forest Adventures, Kleinmond, Paintball, Quad Biking, SA Forest Adventures, Team Building, Tree Top Slides, Ziplinewith no comments yet. Posted in BLOG and tagged adventure, Adventures, Cape Town, hermanus, Hermanus Forest Adventures, Kleinmond, Kogelberg Nature Reserve, Paintball, Whale Festival, White Water Rafting, Ziplinewith no comments yet. It has been another successful visit and were hoping to get our share of the Indian market growing in strength as visitors to South Africa. This year has a number of challenges for us. Were also looking to a fruitful winter as our river operations will be back up in full swing and pumping with adrenaline adventure. If you haven’t booked one of our half day river trips …… perhaps 2013 is a good year to start living. Our future prospects look exceptionally well as we have a multitude of activities lined up – we will also lunch our newest extension to the SA Forest Adventure Family – Trophy Hunting in May. 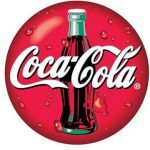 – This might not appeal to everyone but it is a niche market we need to tap into. Ultimately we have a very strong foot hold in the Western Cape and our extensions to areas such as Gauteng and KZN seems to be inevitable – keep your eyes on this as we might announce the new sites with in the next few months. The Cape Town sight will also be revealed shortly. 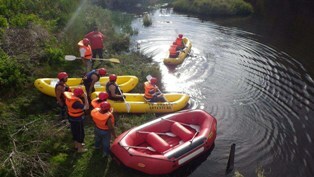 We are undoubtedly one of the leaders in Multi Disciplined Adventure Activities in South Africa. With a large range of products in our arsenal we provide all the adventure seekers the thrill they require – Some of our newest products we might invest in could be a High Speed Boat, Paragliding or Sky Diving. The Month of April will see one of the biggest events in South Africa hosted and sponsored by SA Forest Adventures. More on this once our media partners have the official launch. So watch this space. Posted in BLOG and tagged adventure, Adventures, cape whale coast, clinton lerm, hermanus, Hermanus Forest Adventures, India, Kleinmond, Kogelberg Nature Reserve, Overstrand Training Institute, Paintball, Palmiet, Sa Tourism, Team Building, White Water Rafting, Ziplinewith no comments yet. 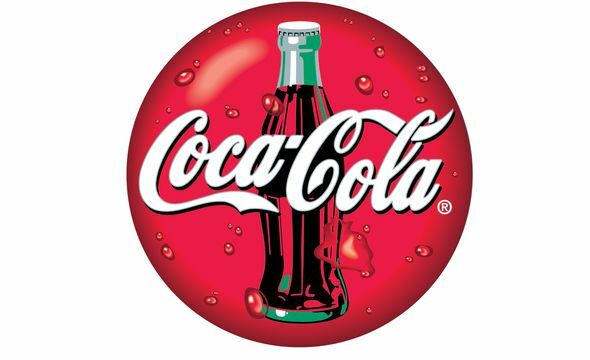 The following can be combined in any form of team building. From competitive amazing race events to simply a normal team building excursion. We cater for all your needs. Posted in Team Building and tagged adventure, cape whale coast, Corporate Events, Crystal Towers Hotel & Spa, Events, hermanus, Kogelberg Nature Reserve, paint, Paintball, Palmiet, Quad Biking, quads, Team Building, travel, Ziplinewith no comments yet. Posted in Theatre and tagged Cape Town, hermanus, Hermanus Forest Adventures, Hermanus Forest Theatre, Kleinmond, watershed, Whale Festivalwith no comments yet. Contact us now to book for your next team building and select one of our many products to make your event memorable. We also have braai and catering facilities as well as accommodation options. This was an amazing day the water was perfect for rafting down the Palmiet!! Guests could not believe how much fun it was and the guides had just as much fun!!! book now before the winter rain stops as it gets boring with low levels of water. Posted in Uncategorized and tagged Cape Town, hermanus, kayak, Kayaking, Kleinmond, Kogelberg Nature Reserve, Palmiet, White Water Raftingwith no comments yet.